Twelve years and she still takes my breath away. Michael watched as his wife Maggie stood in front of their bathroom mirror and touched up her mascara and eyeliner. She wore her favorite blue jeans, a black T-shirt that spoke of ending human trafficking, and a pink thin hoodie unzipped and open. Her thick, long brown hair fell wildly to the middle of her back. A single black hair clip kept her hair from falling in her face. She looked into his eyes through the mirror and smiled. His heart jumped and he smiled. The house was quiet. It was always quiet. Aslan, their giant tabby of a cat, was probably curled up on the couch asleep. The quietness hit Michael the hardest in the fall. Ten years ago was their only chance to have the house filled with the laughter of a child. They lost the baby, and he almost lost Maggie. God hadn’t given them another chance after that. No. He wasn’t going to blame God for this. His eyes gravitated to their dresser like they always did when he found himself overwhelmed with remembrance. They found their target, six beautiful photos of six different children. Children from different parts of the world, but now all together in his and Maggie’s heart. Each child wore a bright red knitted sweater. Gifts that Maggie had sent them for their birthdays. They were all made by their neighbor Agatha. The grandmotherly woman had admired photos of the children that were on their refrigerator and wanted to send them something. So, she knitted them beautiful sweaters. Coupled with Maggie’s letters, the children treasured these gifts and sent letters and photos back. Michael loved these children, though they were so far away and had their own families. They tried adoption, but no one would say yes. Too many health problems the agencies or case workers would say. Maggie was too uncertain, and it wouldn’t be good to place children who already experienced so much loss into a family just to lose their new mother. So, it would have to be these children so far away. “Ready?” Maggie asked when she stepped out of the bathroom. She took his hand and kissed him. He shook off the thoughts and memories and they left the house. Every night, they walked to the park just a block away from the house. It was good to just be among trees and a small lake, their own rural oasis in the suburban desert. During this walk they would unwind and detox from the day of budget committees for him and corporate litigation for her. Tonight, Maggie seemed preoccupied. She was happy and quick to laugh more than she had been in a long time, but Michael felt like she was somewhere else. It looked like a place he wanted to be, so full of promise and joy from the look in her eyes. The crisp autumn air felt good and invigorating. They walked along the well trod dirt path that wound through a narrow lane of birch and beech trees toward a fountain in the middle of the park. When they neared the fountain, he noticed that someone was sitting on one of the iron wrought benches. “Oh, hello Michael!” Agatha said with what sounded like forced surprise. She looked at Maggie quickly and then back at him with that same mischievous grin that always let him know she was up to something. Agatha looked down and Michael noticed that she was knitting. His breath caught in his throat when he noticed that she was knitting another beautiful red sweater. All the thoughts that had just plagued him tried to rush him again, but he pushed them aside for the moment. It was difficult. Agatha looked up from her work and that grin changed from mischievous to one of delight. “A grandchild, yes, but not her daughter.” Maggie answered. Michael turned to look at her and saw the same delight in her face. The joy that had played in her eyes during their walk had now taken pure control of her face and body. Words fled from his mind like chaff in the wind. Thoughts raced, but eluded his grasp. His eyes stung and he could feel the tears flow down his cheeks, but nothing registered. “Our?” He managed after what seemed an eternity. Oh, sweet Michael. You’re lost to it again, aren’t you? Maggie watched her husband through the bathroom mirror. He stood in their bedroom and his stared intensely at the photos of the children they sponsored through Compassion. His shoulders raised and fell with a deep exhale. It was hitting him hard tonight. She wanted to tell him so much, but she and Agatha had planned this night for far too long to not go through with it. She looked in the mirror at her own reflection and touched her belly. A wave of giddiness threatened to make her squeal, but she controlled it. After all this time, they finally have another chance. The doctor had been just as surprised at her last physical exam three weeks ago. The experts had told her that she would never have another child. Never. It was impossible, they told her. For ten years, she believed them. And now, now she felt like Hannah from the Bible story and she was going to have a Samuel. Well, maybe it would be a Samantha. Maggie laughed and put her makeup away. “Ready?” She asked Michael and gave him a kiss. Oh how she loved this man. He was always there for her, always her biggest cheerleader, always her comforter. He made her laugh, even when she knew his thoughts were far from joyful. Selfless. He was always selfless. They left the house and walked to the park just up the street. Her mind raced with thoughts on what Michael’s reaction would be when they reached Agatha and she finally told him. A baby. They were going to have a baby. She knew it in her bones that they would have this one, that this one would make it. Their house would be filled with the coos and cries of an infant for the first time in forever. Maggie wondered what Aslan’s reaction would be. The tabby would probably sniff the child, mew once, and then go to sleep. The thought made her laugh. Michael talked about some new contracts they were working through at his job and she talked about the tussle she and the other corporate lawyers were having with a new merger pending at hers. She felt bad, but her mind couldn’t stay in one place. It couldn’t stay in the here and now with him. With each new idea and revelation over bringing the baby home, setting up a nursery, telling their families, she couldn’t help but be overwhelmed with pure joy. She didn’t think joy was a strong enough word, but her mind wasn’t in any state to try and search for something stronger. The wind rustled through the leaves of the trees around them as they walked. It sounded like angels singing to her. It sounded like God telling her his plans for this child. She felt tears sting the corners of her eyes, but she thought she kept that hidden from Michael. They reached the fountain and she could see Agatha was in place. She noticed that Michael had seen her, too. “Oh, hello Michael!” Agatha said with what sounded like forced surprise. She looked at Maggie quickly and then back at him with a mischievous grin. Maggie held her breath for a second when she saw his eyes find Agatha’s knitting. She and Maggie both thought that a knitted red sweater would be the perfect way to tell him about the baby. Agatha was always making red sweaters for her grandchildren, and for the children they sponsored. Even though Agatha wasn’t blood family, she would be a grandma to this baby. Her heart pounded and she could feel her face flush. He turned to look at her and she could see the questions through his eyes. She wanted to scream the words, to jump and dance and grab hold of him and have him swing her around like a little girl. The tears began to stream down his face, but he was silent for a long time. She knew his mind was racing. He was trying to grab hold of the situation. His eyes told her everything. “Yes. Our baby. It’s another chance, Michael. We get another chance.” She cried. Oh, I do hope they hurry. Agatha sat on a knitted red plaid blanket she had placed on the iron wrought bench. She had another blanket, a thicker afghan and wrapped it around her waist and legs. In her lap was a small knitted red sweater about the size for a baby doll. Two weeks ago, her neighbor Maggie told her the exciting news. The young woman could barely contain herself, but made Agatha promise not to tell her husband Michael. It was part of an elaborate surprise, she said. Agatha could see that she was also conflicted over whether or not she really wanted to believe the pregnancy was true. The poor couple had battled the longing for a child and the disappointment of unfulfilled prayers for a long time. When she first met them years ago, Agatha couldn’t remember how many years, she fell in love with the couple. They were warm and gregarious. Always quick to help an old lady when she needed it, always quick to share a cup of coffee or tea. She knew they hurt. It was in their eyes, but they didn’t let it control them. So, Agatha took it upon herself to pray for them. Their desire for a child was her top priority every time she petitioned God before she closed her eyes and with every morning meeting with Jesus. 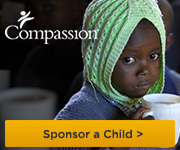 When they had started sponsoring all those children through…what was the name of that place again? Oh, it didn’t matter. When they started, she could see them pour into those children as if they were their own. Maggie often read the children’s response letters to her over tea and cookies. Agatha loved those letters, maybe almost as much as she could see Maggie loved them. Michael wrote, too, but not nearly as much as Maggie. Of course, Agatha didn’t think anyone could write as much as Maggie did. Would that stop or slow down now, with the baby coming? It didn’t matter. Chances are there would be less time for letter writing, but Agatha was pretty sure they wouldn’t stop. Maggie and Michael were too invested in those children. Oh, thank you Jesus. Thank you for this miracle. Agatha held up the little sweater and smiled. She felt like she had just accomplished something grand, something that would change the world, but all she did was pray. She had nothing to do with this new baby. Agatha knew it did. This was just another in a long line of proofs God had given her in her many years. Agatha busied herself and pretended to be knitting. She had finished the sweater days ago, but Maggie wanted it to look like she was sitting here, knitting. The voices and laughter of the couple reached through the lane of trees behind her and she could feel a giddiness and nervousness welling up in her stomach. I hope I don’t ruin this. Control yourself Agatha. You’re an old lady after all! Be a bit more dignified. She looked up and met his eyes. Her heart leapt in her throat and she wanted so much to jump up and give the poor man a hug. She caught Maggie’s face and her smile. She had to wait. Easy now, old girl. You can do this. You can do this. We’re having a baby! Her mouth never opened, but she looked at him again and smiled. Previous postThe Adverbs are coming! The Adverbs are coming! Thank you. I don’t think there is a wrong POV as long as you stick to one while you write. I often have that problem, I jump between POVs within one scene. There lies the problem. This was beautiful and very well-written. You kept me hanging onto every word. I like how you used dialogue to tie the pieces together. And you did well to reveal something new in each new PoV. Nice job! Wow, this is touching, sweet, and well written! Great job with the POV. I absolutely loved this.